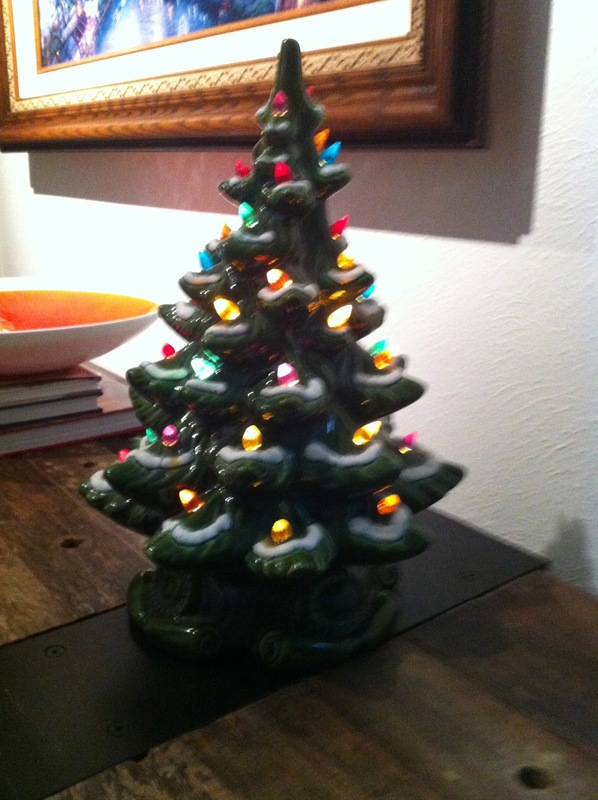 When we have kids (fingers crossed) we won't be able to get away with this, but this year we're still a childless household...and so this career driven household didn't get out Christmas decorations out except for this single ceramic lighted Christmas tree that belonged to my grandmother. Every time I see this tree I think of my grandmother and my grandmother's best friend Glenda who had two of these trees. It's special to just focus on one Christmas item instead of the usual "more is more" approach to Christmas decorating.